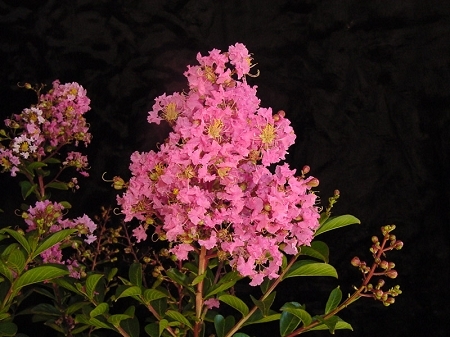 The Sioux Crape Myrtle has a pink bloom. 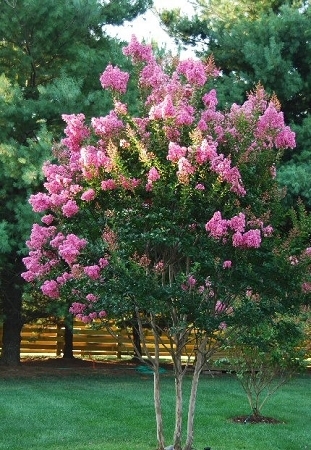 The deciduous crapemyrtle is among the longest blooming trees with flowering periods lasting from 60-120 days. This variety generally blooms late July lasting through mid September and reaches a mature size of 5'-15' tall.